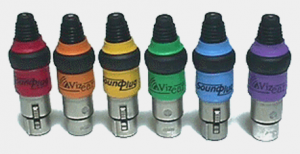 We have built up a great relationship with Aaron and the team at MediaShout over the years and are so excited for what they’ve done with their latest release. MediaShout 6 has really opened the door for amazing utilization in multiscreen and we’re excited to have Aaron here to share 5 Advanced MediaShout 6 Tips! 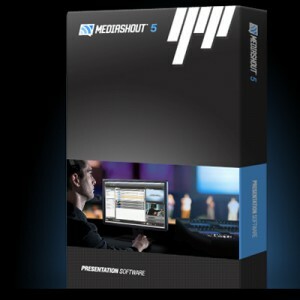 MediaShout 6 is a new take on Church Presentation Software. Although we invented this industry almost 17 years ago, we are now reinventing it with amazing new tools and an intuitive interface. On top of that, it is designed for Mac and Windows with development occurring side-by-side to make sure that the programs are as identical, and share as much information, as possible. If you are already using MediaShout 6, here are our Top 5 Advanced Tips. If you are not using MediaShout 6 yet, it will give you an idea of how easy it is to use even the most advanced controls. With MediaShout 6, changing your background is as easy as drag and drop. Although there are ways to change it in the Ribbon of the Control Screen, dragging and dropping from Windows File Explorer or Mac OSX Finder over top of the cue in your script is the fastest and easiest way. There are no bins that you have to put your files in first, nor do they have to reside in a certain folder to use them in MediaShout 6. MediaShout 6 includes some amazing Text FX like the standard Outline and Shadow, but you can also adjust things like the text box color, the text box fill, or how and when the text box enters. You can find the FX tools by selecting a text box and then clicking the FX button in the Ribbon next to the Font Controls. These tools can help your text stand out against backgrounds you may not have been able to use in the past. With Christmas around the corner, many churches are doing special chorale pieces. If you are using the Stage Monitor Function, you can easily show text on the Stage (Confidence) Monitor without having to show it on the Main Screen. To do this, simply select the text box you want to “hide” from the Main Screen and open the FX button (see #2 above). Then, set the opacity to “1” in that box. Now your text will be invisible on the main screen, but visible on the Stage Screen for your Choir or Praise Team. Did you know that you can customize the font and font size of the text in the Script and Pages Area of your Control Screen? All you need to do is open the General Settings -> Script Tab and then adjust your font and font size. Click the Apply button in the box to see what it looks like without having to close the box. This is one of the newest things you can do with MediaShout 6. 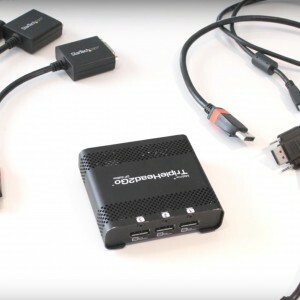 When a new build for MediaShout 6 comes out, you may want to run it through its paces before committing to use it in a live setting without actually installing it over your current build. Now it’s possible to keep both with just a few steps. This gives you both the old and the new simultaneously. Even better yet, you can do this on either Windows or Mac OSX. As you can see, we’ve given our users some amazing and easy-to-use tools to help their ministry. Our ultimate goal is designing tools and support to create an environment of worship. And our focus will always remain on the church and its needs. A big thanks to Aaron and the team at Media Shout for continuing to innovate and serve this community! Be sure to check out MediaShout6 as an amazing option for multiscreen, environmental projection, and more! 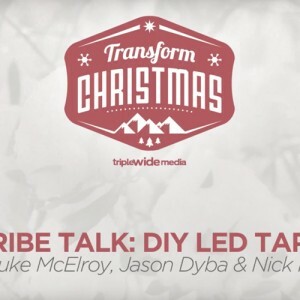 Stay tuned tomorrow… we’ve got more great ideas, content, and DIY tips to Transform Christmas! Here at TripleWide Media we want to help with the planning of your Christmas events and show you the power of environmental projection. That’s why we’re doing Transform Your Christmas all month long. 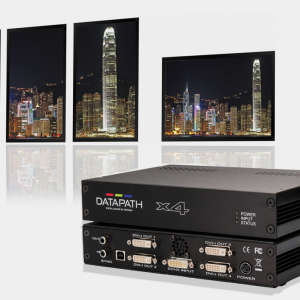 With video content, projection technology, multiscreen processors and a bit of creativity, it’s never been easier to transform your events into spectacular gatherings. Our hope is that you get to connect people… impact lives and spread some holiday joy. Make sure to follow us on Twitter, track along with us on Instagram and like us on Facebook to stay in touch with all the Transform Your Christmas updates. We’ve got a lot in store for you this year… Merry Christmas!